Deliveroo Food delivery services, Best restaurents, Delivery Rider app. Deliverooo is a British technological company offers online food delivery service, marketing and selling meals to the offices and houses. It having 200+ city branches based in London. The branches are in Netherlands, Spain, Australia, France, United Kingdom, Germany, Italy, Belgium, Irelans, Hong Kong and United Arab Emirates. This platform is providing the Food ordering and Delivery services from restaurants and the food orders are placed through the Deliveroo app and also from their official website and the Deliveroo employees transport the delivery to the customers from restaurants. We can order food items from our favorite restaurants and it deliver very fast to our door step. The company announced 300 UK technological Deliveroo jobs in Jan 2017 and open its new office in London in the same year. The Menu item’s of Deliverooo as follows: Guilty Pleasures, Doughnut time, Crosstown Doughnuts, Mister Lasagna, Drinks, Desserts and sweet treats, Motu, Zizzi, Tortilla, Pho, Hawaiian food, cheeseburger, chicken katsu curry and many more food items. Here is the list for your favorite food items in your country, check and book your dish and get faster delivery. 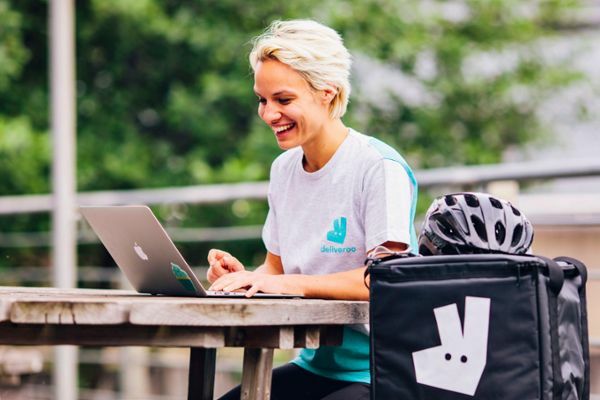 Ride with Deliveroo: If you want to to decome a self-employed then start your career with Delivero and earn money through the Deliveroo rider app. In your available time work with them and get more than £120 per day. Keep the delivery tips with your self and once you refer your friends and family, you get £250 for each person. Now, Zigo is integrated with their app and also get insurance for your car and scooter on your food delivery through Deliveroo App. Motor cycle with safety equipment. Participating in the social Activities like social events, celebrating the company success, friday lunch parties with the international working environment. HOW TO WIN TRUST ONLINE - A GUIDE FOR SMALL BUSINESSES!